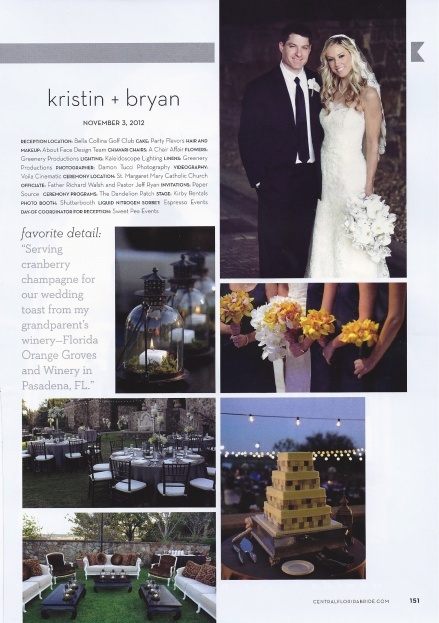 Bella Collina Central Florida Bride Feature - A Chair Affair, Inc.
Kristin and Bryan proclaimed their love for one another with a beautiful wedding in November last year. The ceremony – performed by Father Richard Walsh and Pastor Jeff Ryan – took place at the St Margaret Mary Catholic Church, followed by a reception at the Bella Collina Golf Club. 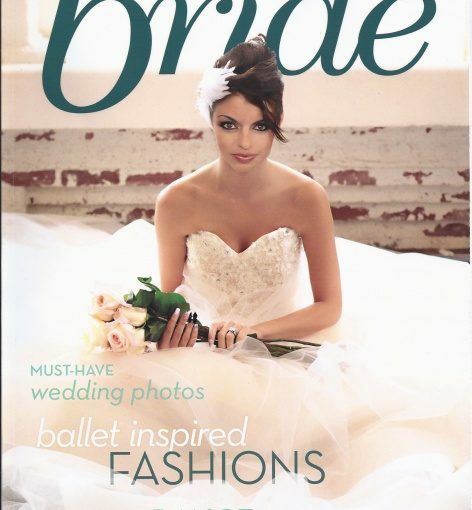 Central Florida Bride loved this wedding so much they’ve featured it in their Summer/Fall 2013 issue! Sweet Pea Brides coordinated the event and ensured that the day went off without a hitch. Damon Tucci and Voila Cinematic captured and shot every unique and beautiful detail, especially the newlyweds. Kristin made a stunning bride in a beautiful dress and hair and makeup by About Face Design Team, while Bryan made her perfect match in his suit. The ceremony programs were crafted by The Dandelion Patch, while Paper Source handled the invitations. Kaleidoscope Lighting took care of the lighting, and Kirby Rentals supplied the stage, Espresso Events supplied the liquid nitrogen, and the photobooth, of course, was provided by Shutterbooth. The delicious and incredibly crafted cake was by no other than Party Flavors. Greenery Productions provided the oh-so-gorgeous flowers and linens, which went along so well with A Chair Affair’s chiavari chairs that the whole venue seemed to glow with beauty and elegance.